This week the TeachECE team is talking about ‘friends’. How to make them, how to treat them and so much more! 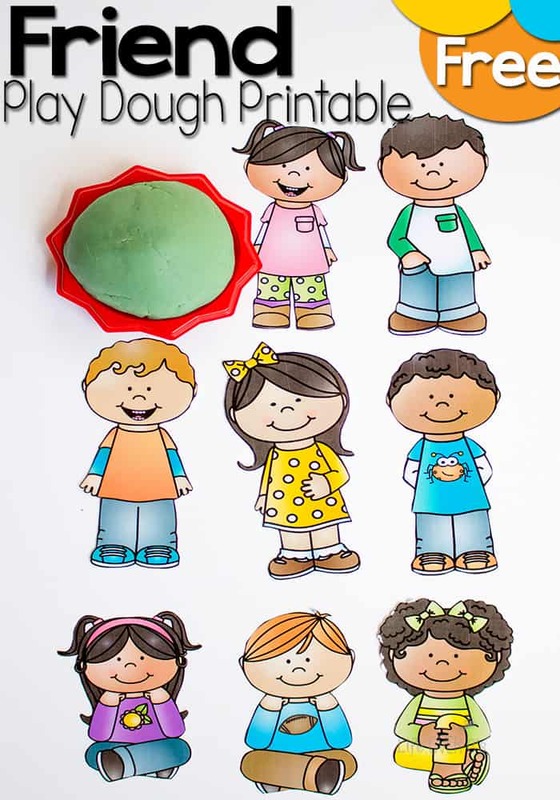 So to go along with that, I’m sharing this free friends play dough printable with you. It’s great to use when you are talking to kids about being a good friend because they can role play different situations. 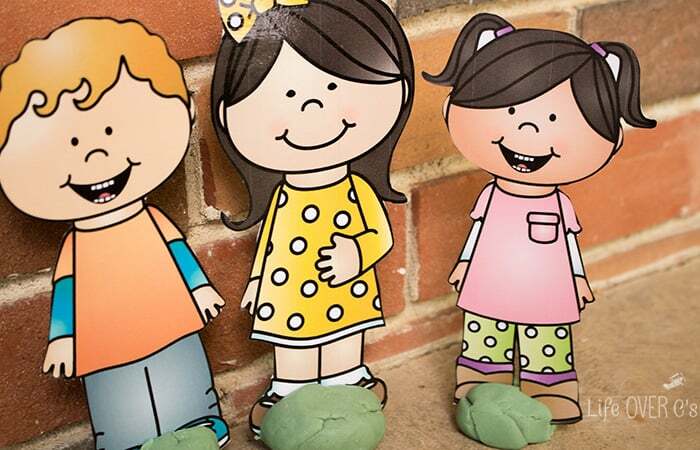 Plus, pretend play is a fantastic way to practice friendship skills! To prepare the set, print, laminate and cut out the kids. Then you can use play dough as a base to help the kids stay upright for playing. But one thing she struggles with because of her language delay is being able to talk to friends her age. Especially because most 4 year olds can’t comprehend why she doesn’t talk as well as them. She tends to gravitate towards much younger children who also don’t speak or much older children who can understand and deal with her lack of language skills. For her, I like to use pretend play to practice her language skills and use it to model how to have a conversation. At four years old, I am still teaching her to say, “My name is Shiloh.” Right now she will say, “My name,” and point to herself. This is an improvement over six months ago when I would say “What is your name?” and she would simply reply, “Name” as if that were her name. 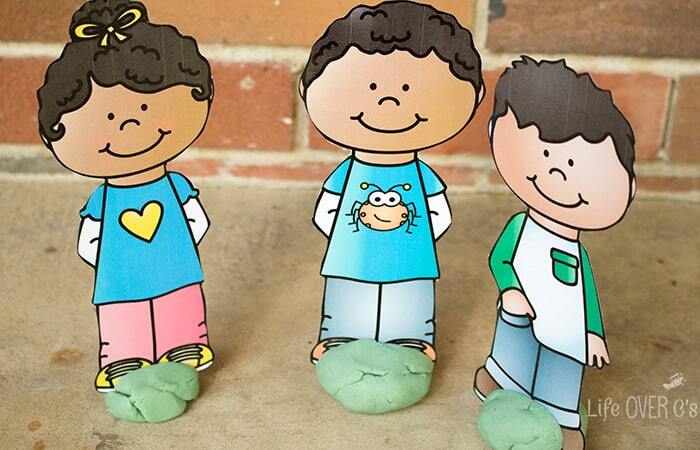 To practice talking to people, we have the play dough friends “meet” each other. She can hear me say, “Hi! My name is…” and she has the opportunity to model that if she chooses. While we are working on her language skills we have also worked to teach her ways to show that she is a friend in some fun ways. When I introduce her to another child, I will tell them “Shiloh doesn’t talk a lot, but she loves high fives!” (or fist bumps…) Then they can see how excited she is over that interaction and initiate playing with her. She can share something with her friend. Such as show a painting that she has made, a tower that she has built, a doll that she would like to play with. She can create a name that she can say for her friend. Cathryn becomes Catty, Riley becomes Wiwey, Grandma becomes MeMaw. No matter your child’s abilities, they can always use practice on how to be a good friend. 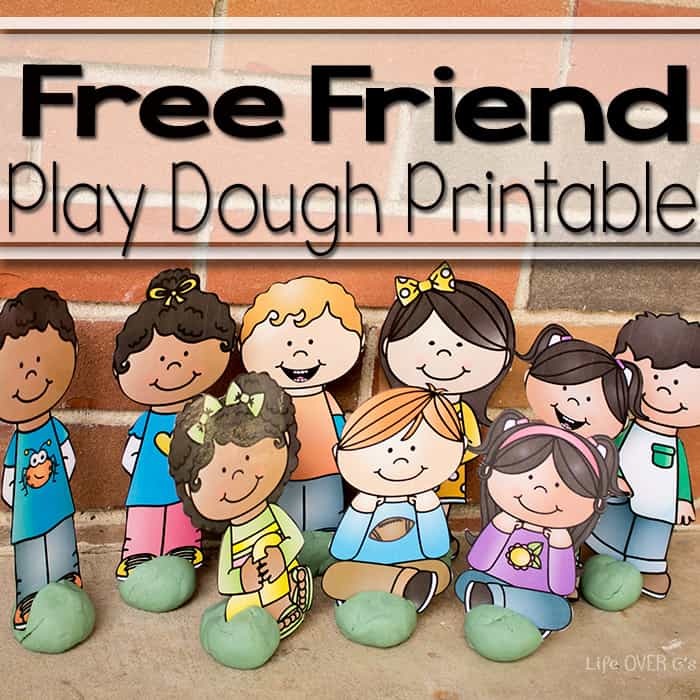 This free friends play dough printable gives them that opportunity! Check out the other great friend posts from the TeachECE Team! What a cute idea! 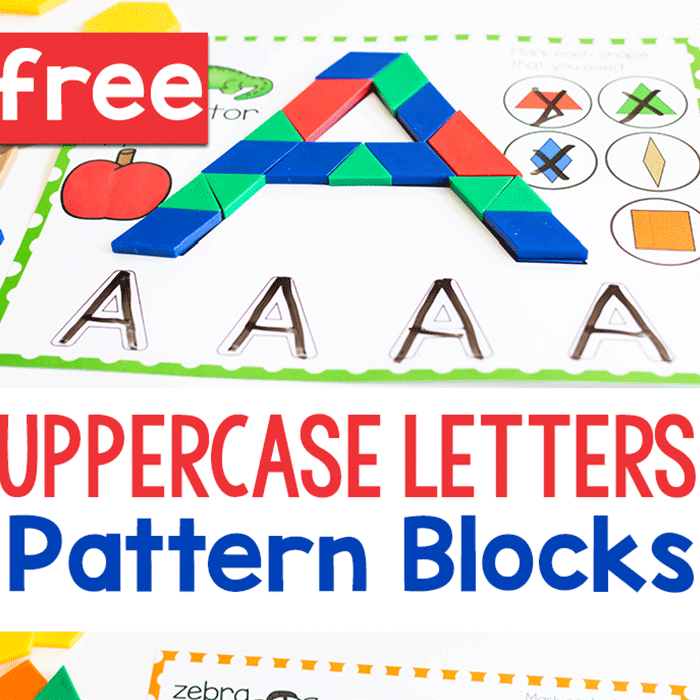 This would make a great learning kit or busy bag to take with you for on-the-go learning too! Pocket pals! That would be a fun idea! What a fun idea for playing and discussing friends! When kids have a VISUAL of anything, it helps them learn! Great Suggestions! Yes, any time I work with Shiloh there has to be something she can touch or see because without that, she really doesn’t understand. You always amaze me with your ideas of how to meet Shiloh exactly where she is…and she is thriving! 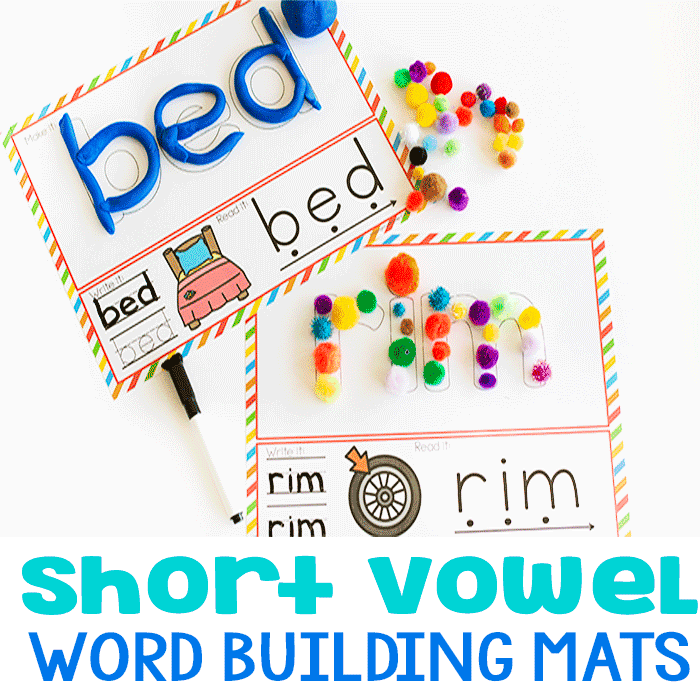 I love these printables, too…especially because there is a red headed boy like mine! 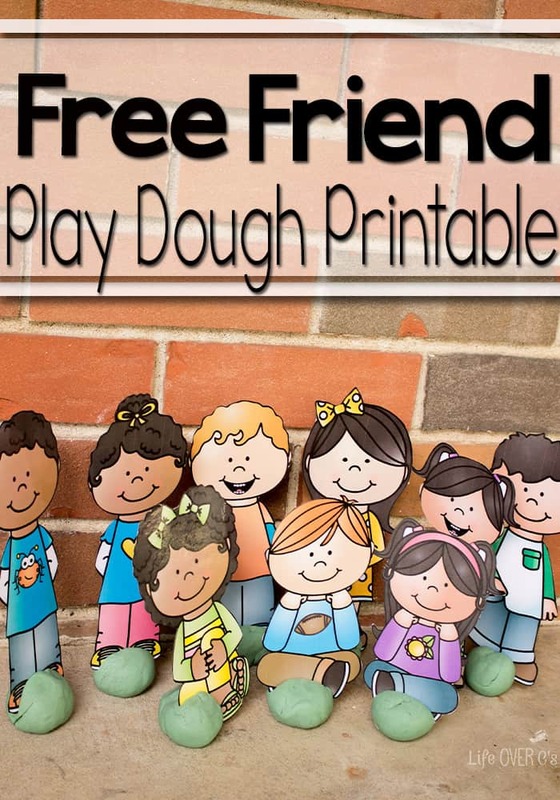 What cute printable little friends! I bet my kids can think of a ton of ways to play with them! Great idea! I love that this gives kids a visual, hands-on way to learn about making and play with friends. 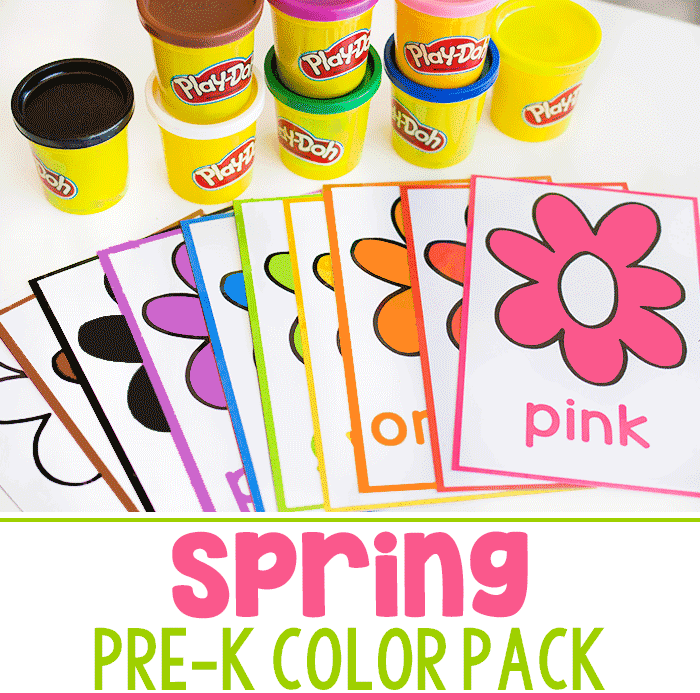 They are perfect for role playing various interactions with other kids! 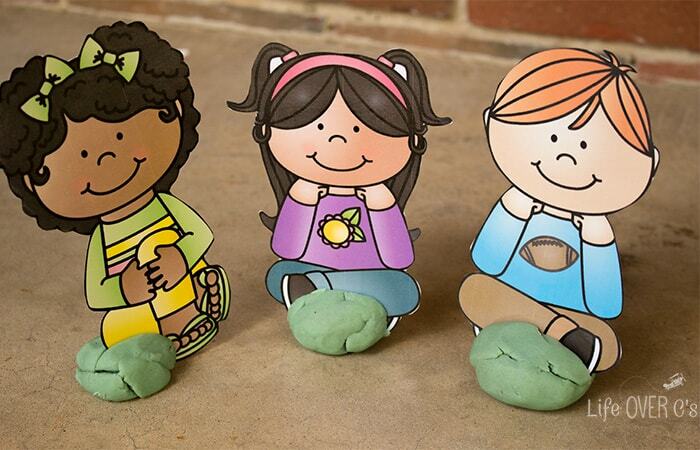 Those play dough friends are adorable. We will have to try out this activity. Thank you! I love seeing how attuned you are to Shiloh’s needs! My son had some severe speech concerns when he was younger. I did something similar when introducing him to new friends. Thanks, Mary Catherine! I’m glad that the idea worked for your son! Oh my goodness, this is so cute. I’m glad that you like it! Enjoy! Those little people you made are so stinkin’ cute! Thank you so much for sharing your awesome talent with the world, so that we can benefit (and not have to come up with a lesson plan on my own!!) My co-op preschool class will love using them. THANKS!! I’m so glad that you enjoy them! !